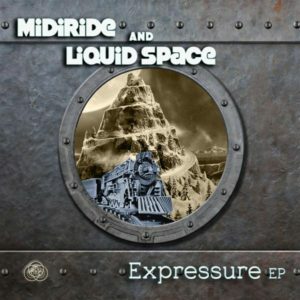 Expressure is a wonderful collaboration between Midiride and Liquid Space, professional psytrance creators from Stuttgart in Germany releasing with Sun Department Records. “Schall und Rauch” is an exploration of innovative progressive sound frequencies that will launch you into deep floating emotion. “Session 23” is a psyprog bomb at it’s best, taking you on a massive trip through space. “Interlocked” is groove based sonic art, a wild adventure of the audio spectrum with pumping sounds and melodies. Mastered by 4CN-Studios with artwork by Denny Seidewitz. MP3 Download | FLAC Download | WAV Download · Download count: 10,122. Morning music indeed! This started my day off great. Track 01, ¶ Schall Und Rauch ¶ is best Song for me in 2016. Firstly thanks for sharing your album in Ektoplazm. I heard Voyage To Venus, this song is near to Schall Und Rauch! Suspension(a few), Soar, Excitement also good changing atmosphere in during Voyage To Venus like Schall Und Rauch, exactly. Frankly! Expressure is Awesome work or job by Midiride & Liquid Space. Yeah, sounds great. It reminds me the good old times of positive vibes, a mix of 90’s german psytrance and the positive israeli style. i really like the warm atmosphere of all the three tracks. Dope music. Thanks so much for shearing this. Your music is complex but at the same time very pleasant to the ear. The psychodelic aspect is smooth and consistent in style, but also evolves and is interesting. I like the melodic lines too. @caroline Ultimate trio of tracks, Superb sounds and deep tunes. Looking forward for more. Good staff! Nice BPM, go with the FLOW!! !